Our expert Team is ready to assist you for total server solutions as per your requirements. Active Directory (AD) is a directory service that Microsoft developed for Windows domain networks. It is included in most Windows Server operating systems as a set of processes and services. Initially, Active Directory was only in charge of centralized domain management. Outgoing mail servers are known as SMTP, or Simple Mail Transfer Protocol, servers. Incoming mail servers come in two main varieties. POP3 or Post Office Protocol, version 3, servers are best known for storing sent and received messages on PCs’ local hard drives. Setup your Own Web server with MySQL Database at your own network redirected from cPanel may provide extra security to your Database. Provide your application source code security. Mainly suitable for e-commerce business. 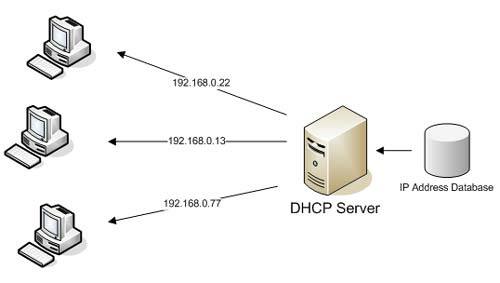 DHCP assigns an IP address when a system is started. YOU DON’T NEED TO PAY ATTENTION TO ASSIGN IP. FTP stands for File Transfer Protocol. A protocol is a system of rules that networked computers use to communicate with one another. FTP is a client-server protocol that may be used to transfer files between computers on the internet. The client asks for the files and the server provides them. You can also create directories, remove them and list files with FTP, but you may need to authenticate with a username and password first. Anonymous FTP servers don’t require keys and are usually used for open source software that is freely distributed. VPN server lets you connect to your Office LAN over the internet via a secure IP-IP tunnel. You can use, access any of the office LAN resources staying outside the office using the internet. A firewall works as a barrier, or a shield, between your PC and cyber space. When you are connected to the Internet, you are constantly sending and receiving information in small units called packets. The firewall filters these packets to see if they meet certain criteria set by a series of rules, and thereafter blocks or allows the data. This way, hackers cannot get inside and steal information such as bank account numbers and passwords from you. Besides this, unnecessary URL can be blocked to office productivity hamper.